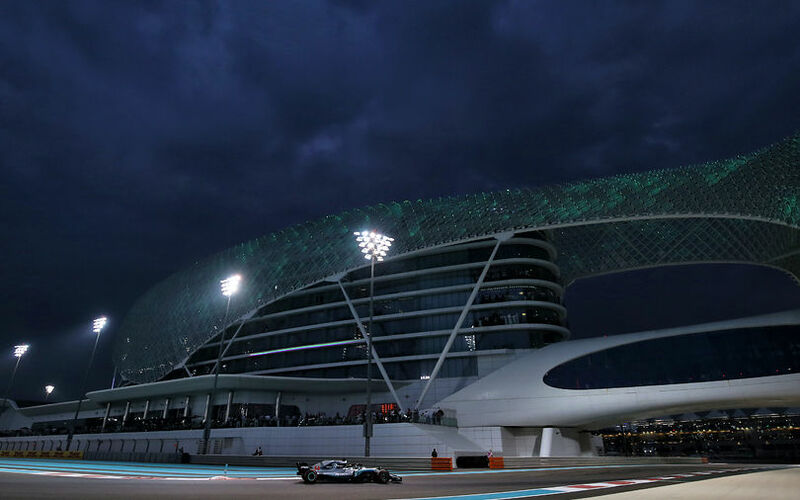 Lewis Hamilton had the perfect finish of an already magnificent season as he won the Abu Dhabi Grand Prix, controlling the race to take a seemingly easy win. Sebastian Vettel finished second, ahead of Max Verstappen who completed the podium for Red Bull Racing. The race got underway cleanly, with Hamilton, Bottas, Vettel and Raikkonen maintaining their starting positions. Behind them however, Max Verstappen made a really difficult start and dropped down to 9th, allowing Leclerc to sneak ahead of Ricciardo to take 5th. Grosjean kept 7th, ahead of Ocon. A major incident however occurred halfway into the first lap, as Hulkenberg and Grosjean came together. The incident itself seemed relatively minor, but Hulkenberg's car was launched into a flip, coming to a halt against the barriers after turning around its longitudinal axis twice. The halo then prevented Hulkenberg from getting out of his car while upside down, triggered Hulkenberg to quickly inquire about the fire that had occurred at the back of his car. As that was quickly remedied, and the medical car was rapidly on the scene, a number of marshalls managed to turn the car around to allow the German to get out of his stricken Renault. Hartley made use of the safety car period to pit for a new front wing, as well as a new set of supersoft tyres. On lap 5, the race was on again. Initially there were no position changes, but Ocon and Verstappen got involved into a battle that saw them both switch positions repeatedly. Verstappen muscled his way past Ocon ahead of the long straight, but was then re-passed, before taking the advantage at the end of the back straight to lead Ocon through the twisty final sector. Moment later, Raikkonen lost drive on the pit straight, and parked, failing to get his car going again. Obviously a bitterly disappointing result in the Finn's final race for Ferrari. The virtual safety car period that was instated triggered pitstops for Hamilton, Leclerc and Grosjean. Hamilton returned to the track on new supersoft tyres in 5th, just behind both Red Bulls. As early as that stop looked, it was confirmed that they were indeed aiming to go to the end. Having lost a few seconds in the early stages, both Red Bulls upped the pace roundabout lap 10 to close the gap to the cars in front. When they were both within striking distance, Vettel opted to pit on lap 16, with Bottas doing the same one lap later. Both men switched to supersoft tyres, and returned to the track behind Hamilton. Bottas 11s down, Vettel 15s down. Two laps later, Verstappen pitted as well. He returned to the racetrack in 5th, 3.5s down on Vettel. This actually put Ricciardo in a tricky situation, given that the new tyres proved to be at least 1.5s faster on the first few laps than what the Australian managed on his ultrasofts. At the halfway point, the unthinkable happened as light rain arrived at the circuit. Rain continued in the next few laps, but only from Turn 5 up until the end of the long back straight. On lap 27, Perez pitted to change to supersoft, following Ocon who did the same a lap earlier. On lap 28, Alonso changed his old ultrasofts as well, making Sainz and Ricciardo the only ones to use this compound at the time. Everybody else had either started on supersofts, or switched to them. Moments later, Gasly became the first to change his supersofts from the start to a new set of ultrasofts. 5 more laps later, on lap 33 to be exact, Ricciardo pitted at a time when he had only 2s left over Hamilton. The Australian Red Bull driver changed to supersofts and returned to the track in 5th place, 8 seconds down on his team mate, but with tyres that are 16 laps younger. In fact, Ricciardo was a massive 3s quicker than Verstappen on the next lap, rapidly chewing seconds out of the gap. At the same time, Vettel got past Bottas for second place. The Finn appeared in trouble, and locked up repeatedly, enabling Verstappen to come into DRS range on lap 36, a point in time when Ricciardo was less then 2s behind his own team mate. One lap later, Verstappen got ahead of Bottas as well, bumping wheels through Turn 12, and rapidly dropping the Mercedes into the claws of Daniel Ricciardo. The latter didn't mess about, and needed just one more lap to move up to fourth. Bottas was pitted one lap later, and didn't lose a position due to that stop thanks to being 50s further up the road than Sainz in 6th place. In the next period, Ocon's Mercedes started spouting smoke, forcing him to pit and retire, after briefly being stuck on the pitlane entry. Pierre Gasly seemed to have a similar issue one lap later, though he parked in a run-off area after powering through carelessly for half a lap. Apart from some late race fastest lap attempts, nothing major happened in the final 5 laps, leaving Ricciardo to miss out on the podium he targeted to end his Red Bull career on a high. Vettel did eventually set the fastest lap while Alonso, despite trying hard, failed to get a point in his final race - in fact, while trying, he received a 5s penalty for leaving the track and gaining an advantage. This closes the 2018 season for the race team, while team factories can now fully focus to complete the 2019 cars, as winter testing is already just around the corner. In fact, preparation for next season is set to start in 2 days, as teams will test the new Pirelli tyres here at Abu Dhabi on Tuesday and Wednesday.